Cacti come in many shapes and sizes and do well in warm, sunny climates. 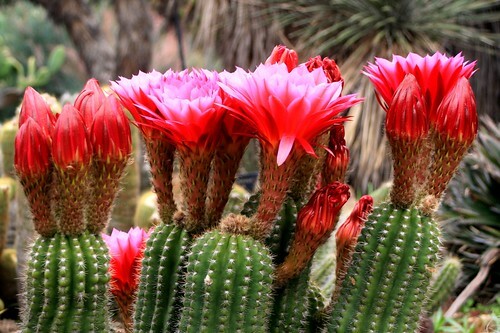 Cacti in their natural habitats will flower seasonally, according to the type of plant. Cacti in the family of Mamillaria, Gymnocalycium, Parodia and Notocactus bloom even when planted indoors. Some cacti take 50 or more years before they mature enough to bloom, so check with a reliable expert before choosing a specific cactus. Cacti must have a dormant season to allow them to bloom. 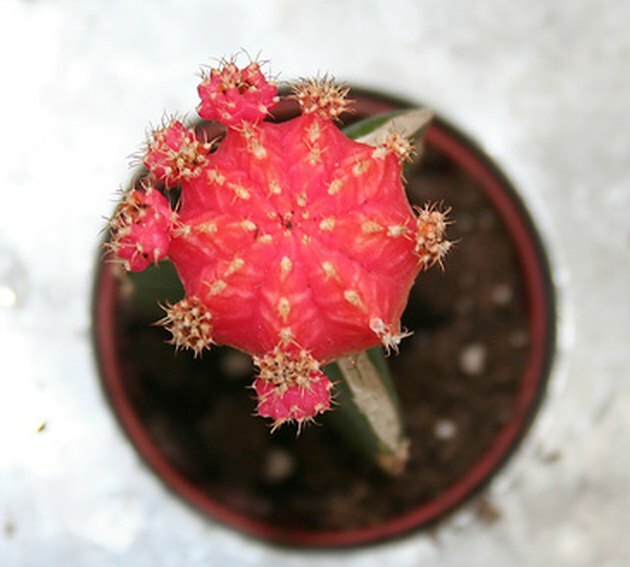 Indoor cacti may receive too little sun, too much warmth and too much water to allow the plant to achieve this dormant state. Plant the cacti in a medium-size planting pot to allow for several years of growth. Mix equal parts bird gravel, potting soil and leaf mold. Follow the planting directions for your specific type of cactus. Water the mixture thoroughly when transplanting. 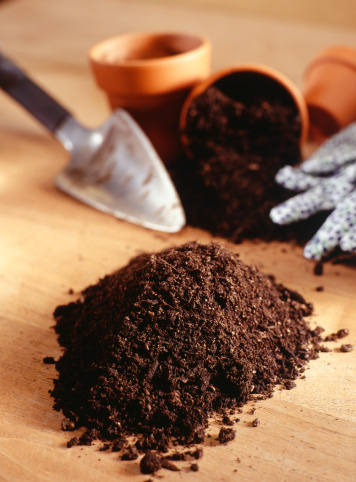 Feed the plant and water regularly from March through November, the active period for the plant. Water only until the top ¼ inch of the soil is wet. Withhold water or fertilizer for the cactus from November to March to allow the cactus to become dormant as it would in its natural environment. Place the plant in a location where the temperature does not rise above 50 degrees F at night but receives at least five hours of daily sunlight. Water the cactus again when the first blooms appear in the spring. Continue to feed and water regularly until August. Taper off the watering in August to prepare the plant for its next dormant season.